Is The Power Plate my7 A Case Of All Style And No Substance? 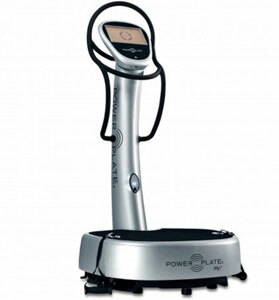 With its sleek, silver design, powerful vibrating plates and claims that it can provide a full body workout in less than thirty minutes, the Power Plate my7 vibration plate is a very interesting and futuristic-looking machine. The aim of this product is to offer quick and easy exercise options for people that are in a hurry, or do not have the time for long gym sessions, as well as the chance to improve circulation, flexibility and weight loss while providing relief against pain and cellulite.